O2 has not exclusivity to the iPhone. Starting late this year Orange will also be selling the iPhone 3G and 3GS. Early 2010, will see the iPhone on Vodafone. You can currently get the iphone 3G for about £350 and the 3GS for £440.40 locked to O2 including 1 year's free web and wifi. On contract, the least you'll be paying is £30 a month for 18 months for 75 mins and 125 texts plus £97 upfront. Orange and Vodafone will hopefully cause a price war and the iPhone should be available to buy from the Apple online store unlocked so that you can choose where to use it. A price drop to around £300 for the 3GS would be the best move here and could spark the replacement of pretty much every BlackBerry by a shiny new 3GS. 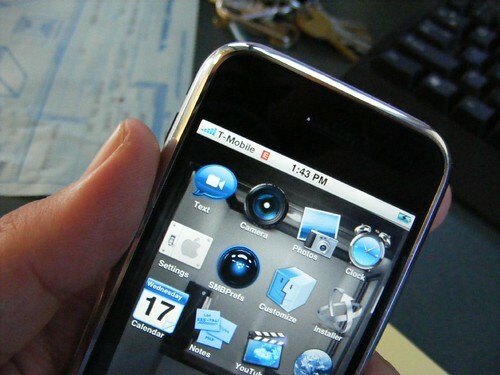 Apple may also announce the iPhone 4G, as it is currently being dubbed, around the time of MacWorld which could possible come with a better camera and better battery life as well as a lower price. The next iPhone launch remains to be seen until at least January 2010 but with the Orange in before that we might see price cuts or a more competitive data plan. O2s unlimited web and wifi is limited to just 250MB a month. Perhaps Orange, which claims to have the largest 3G network in the UK, will improve things a bit? Competition is never a bad thing for consumers, so if you're going for an iPhone, give it a couple more months.